Tila's family is credited with opening the first Thai grocery store ever in the United States—and possibly the first Thai restaurant, too. “Before tamarind was readily available, it was vinegar, sugar, and ketchup,” Jet Tila says. That was the state of early Thai cuisine in the United States, on the heels of the first wave of Thai immigration in the 1960s. And his family was part of it. Before he was a celebrity chef on Cutthroat Kitchen with BFF Alton Brown—Tila was just texting back and forth with him before our interview, and the two got tattoos together last year (more on that later)—he was teaching Thai cooking classes out of his mom’s backyard and helping his family run Bangkok Market in Los Angeles. Opened in 1972, it’s the first Thai grocery ever in the United States. “It was confirmed that there were no Thai businesses ever created before that,” Tila says. “We can track it through business licenses, PR, it’s always been reported as the first Thai market, and never contested.” Given that there was virtually no Thai immigration to the United States before the '60s, this makes sense. His family also opened one of the first Thai restaurants in the U.S., although this fact is a little more fuzzy—it was definitely one of the first three, and very possibly the first, depending on whom you ask. Tila’s parents, of Hainanese Chinese origin, had immigrated from Thailand to the United States in 1966 thanks to a change of immigration rules that year. They were among the first wave of Thai immigration to the U.S., ahead of the Vietnam War—in which, significantly, Thailand was an American ally. And with this wave came ingredients like fish sauce, coconut milk, galangal, kaffir lime: All signifiers of the “Orient,” that exoticizing word so prevalent in decades past. Before khao soi was Tuesday night takeout in metropolises like L.A. and New York, pad thai was the approachable symbol of Thai cuisine. A lot has changed since then, Tila reflects—and his family was a huge part of that, given that L.A. is in many ways the country's forerunner and bastion of Thai culture. In this city’s Thai Town—the only one in the country—critically praised restaurants like Jitlada offer hyper-regional takes on Southern Thai. 15 minutes away in North Hollywood—okay, like 40 in traffic—sits Wat Thai, the first and largest Thai temple in the country. And it’s still L.A. that has the largest Thai community outside Thailand itself. 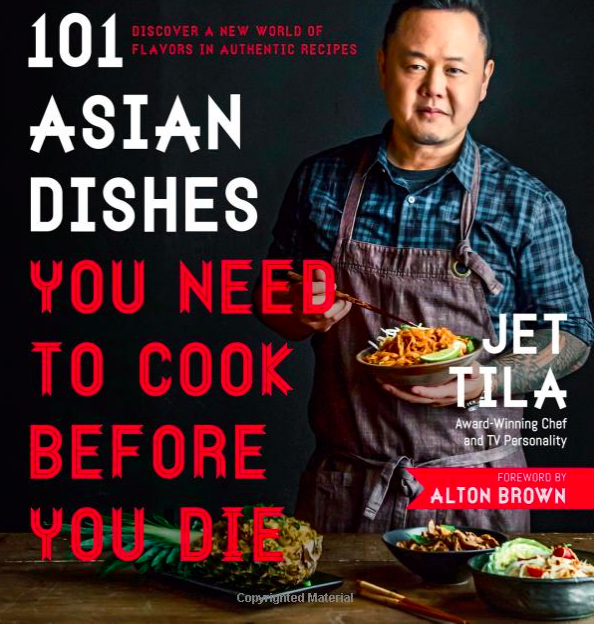 “I feel like Chinese food has been ubiquitous in America for so long, and I feel like Thai food has finally achieved that status,” Tila says. “I think there’s this romance of Thai culture because it’s exotic, non-political. China obviously will create more political feelings with people, given what’s in the news and communism, etc. But there’s this automatic romance with Thai food… I can’t think of another Asian culture that has this halo effect that Thai culture has.” Cue images of Siam, to the soundtrack of The King and I. These days, despite the proliferation of chef-driven Thai restaurants—exemplified by Kris Yenbamroong’s Night + Market in L.A.—Tila’s professional travels to Middle America offer contrast. Tila, a culinary schooled chef in his own right, probably enjoys teaching more than most. It’s actually his cooking classes—initially publicized by the L.A. Times, which heralded hundreds of calls the following day—that earned him his first T.V. spot. It was the dawn of the 2000s, before the Food Network would herald in the era of the celeb chef.